Caribbean, islands surrouning the caribbean sea, a land with scenic beaches, lovely food and great history. The regions food reflects it diversity, and fusion of many cultures and yet has its own special style. Me and few of my blogger buddies tried to explore this rich cuisine last month and here is a small collection we enjoyed. 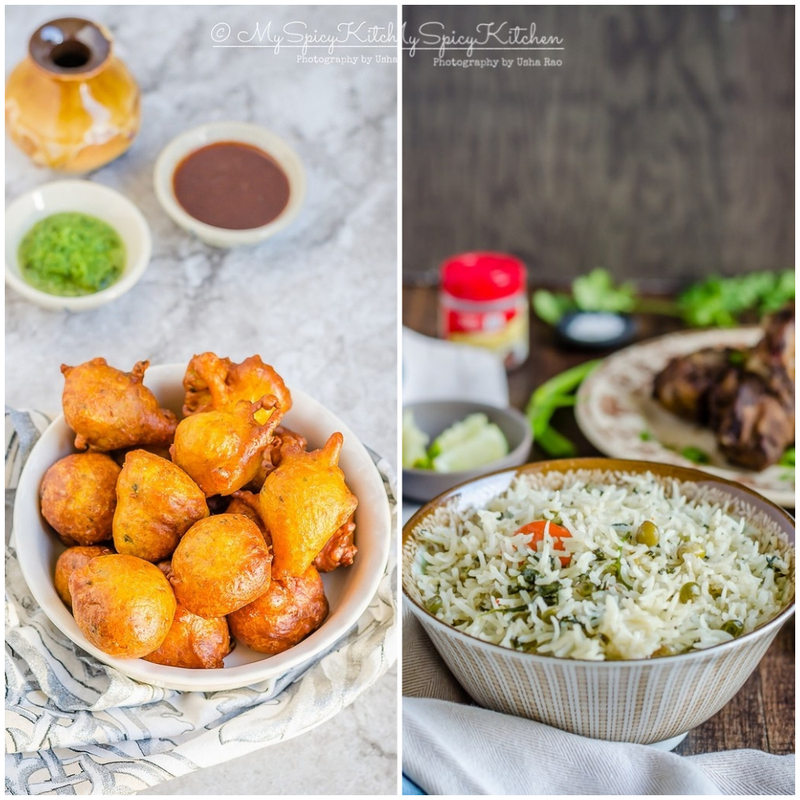 Here is the roundup of caribbean dishes from Mayuri Patel, +Usha Rao, +Chef Mireille, +Priya Suresh and yours truly me. Butter flaps : Puffy rolls, filled with butter, call it the croissant of the carribbean. Jamaican Toto- coconut cake, rich cake made with fresh coconut and coconut milk. Pholourie is a spicy deep fried yellow split peas fritters. crispy outside and fluffy inside, yumm snack for your evenings! Aruban pan bati is a salted crepe, simple pancake that can be served with number of condiments. 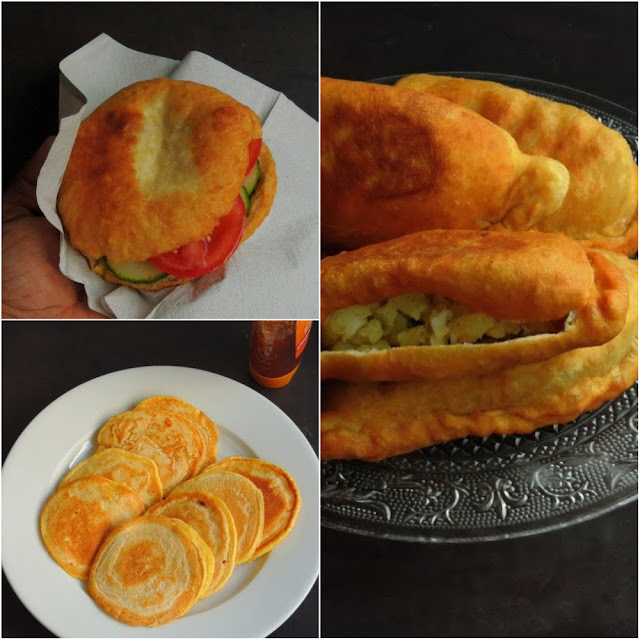 Bokit, a fried bread sandwich, a simple bread even for the person who doesn't like to bake! Trinidad Aloo Pie, needless to say, a filling bread with favorite potatoes, a scrumptious lunch! 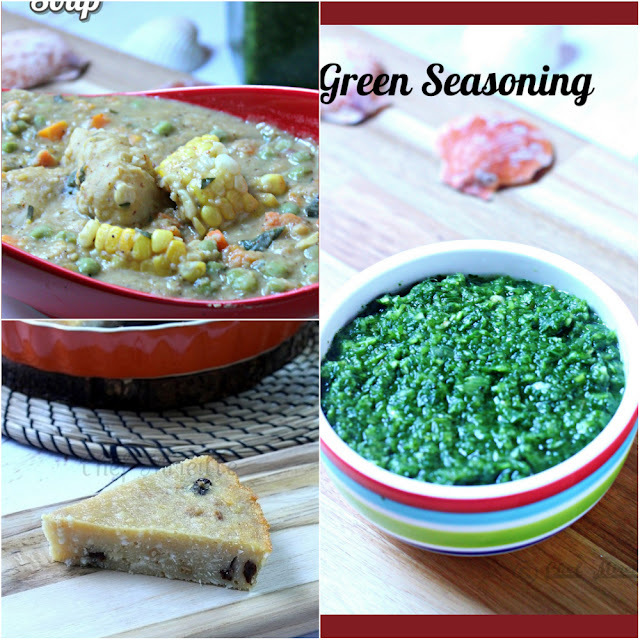 Callaloo and beans soup, amarnath leaves and beans makes a yumm soup, if you don't believe me, try it for yourself. Sweet Potato and Okra Soup, an unusal combination, cooked in coconut milk, a fine addition to your lunch table. Carribbean Coconut Quick bread, best combination of fresh coconut and coconut milk, best when served warm! 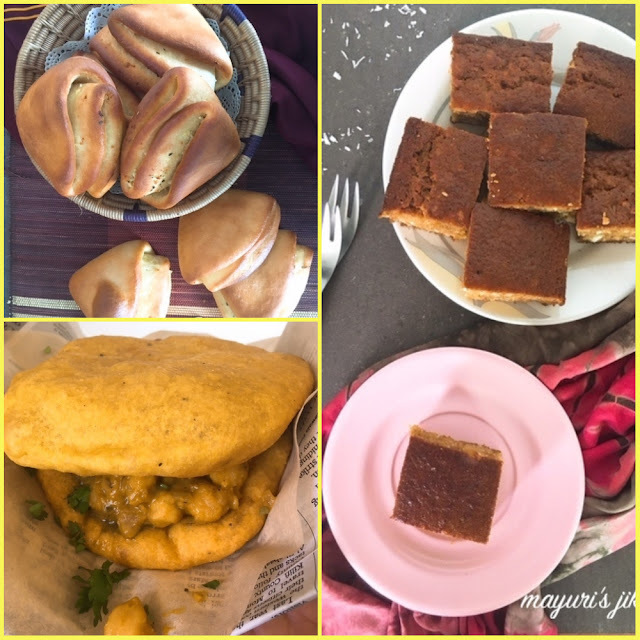 Nice round up of yummy Caribbean dishes Priya. Everything looks delicious. Sorry Priya, had totally forgotten to thank you for the beautiful collage. 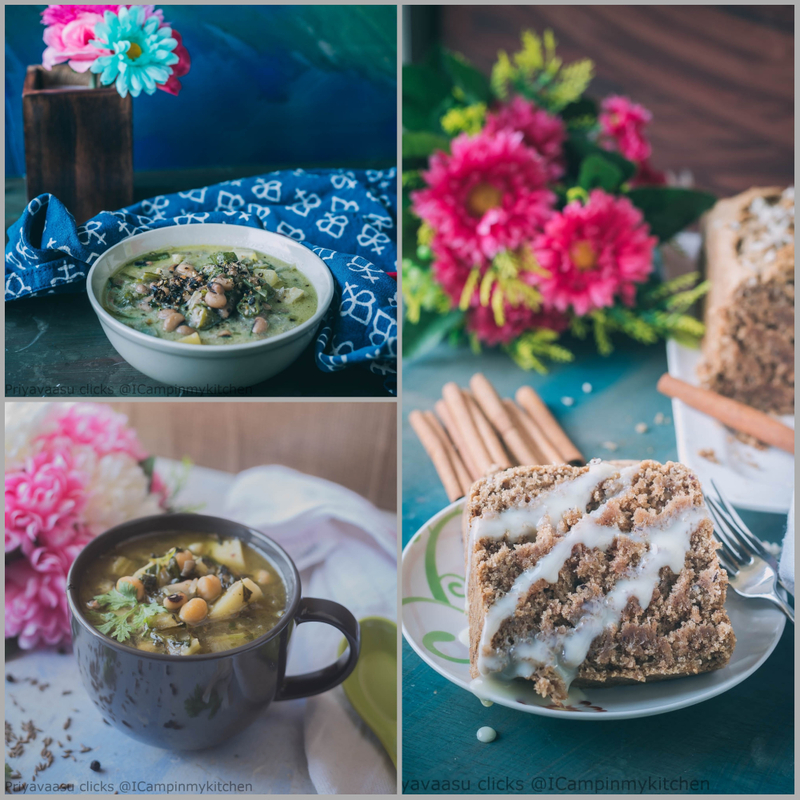 A wonderful collection of recipes. That is a great roundup Priya. I Ahve now bookmarked quite a few to try out. 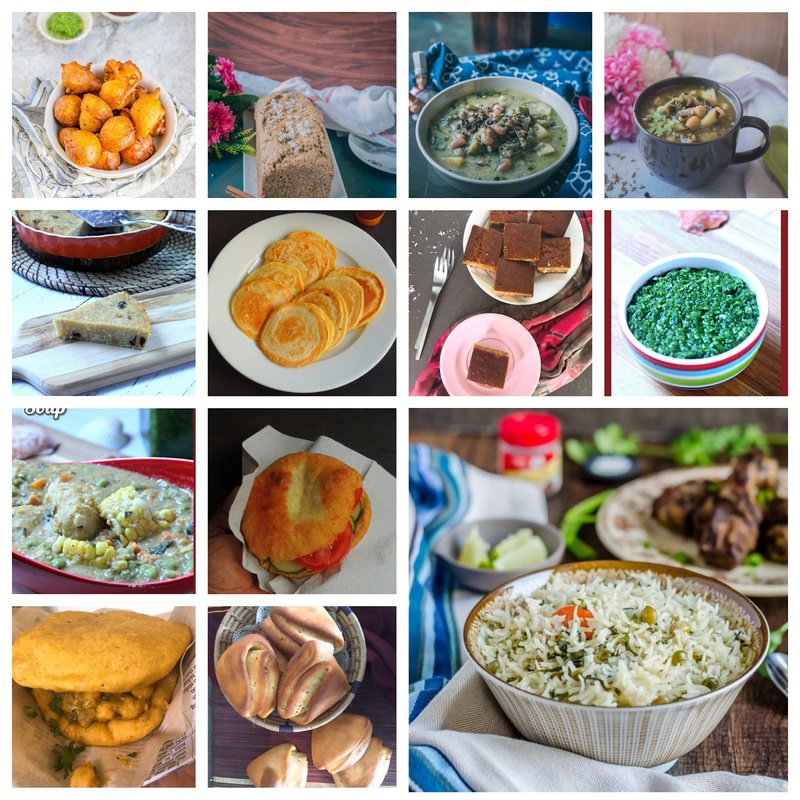 A great collection of yummy and delicious Caribbean recipes, definitely going to try a couple from this roundup. Wonderul roundup Priya, now I know where to look up for Caribbean recipes.